No environment can be 100% secure. Problems (which can be broadly described as “occurrences” or “deviations”) will happen, but not all problems need to be treated the same way, and this can have a significant impact on the effort, and costs, of security management. 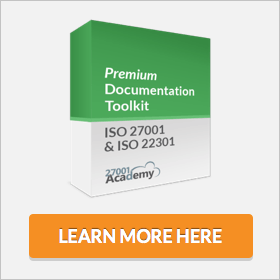 This article will present three concepts used by ISO 27001, the leading standard for information security management, that can help organizations handle security occurrences in a more efficient way: security events, security incidents, and non-compliances. Information security event: any occurrence related to assets or the environment indicating a possible compromise of policies or failure of controls, or an unmapped situation that can impact security. Information security incident: one or more information security events that compromise business operations and information security. Information security non-compliance: any situation where a requirement is not being fulfilled. non-compliance refers to something you should be doing, but are not. For example, backup copies are not being generated as defined in the Backup Policy.